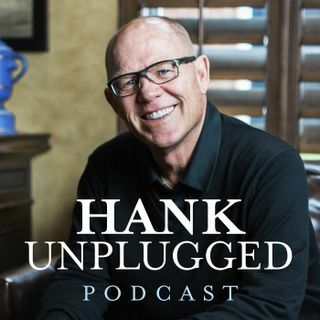 On this episode of Hank Unplugged Hank is bringing to you a legend of the Intelligent Design community, Dr. Bill Dembski. You will be hard-pressed to find a more academically accomplished individual than Dembski, as he is the author/editor of over 20 books and has a PHD in Mathematics, a PHD in Philosophy and a Masters in divinity. Dembski has faced career-threatening criticism from fundamentalists on both sides and joins Hank to discuss the dangers of fundamentalism and more. Topics ... See More discussed include: How the dangers of fundamentalism led Dembski to change careers (3:00); The Design Inference and Intelligent Design (7:45); Fundamentalism, majoring on the minors and what many consider to be Acid Tests for orthodox Christianity (14:00) The importance of reading the Bible as it is intended to be read (25:20); Problems that arise from reading modern cosmology into Biblical text (30:00); Stakeholder interest and incentives influencing the academic community and cultural narratives (36:30); The problem of motivated blindness (42:00) The File Drawer Effect (44:00); Key institutions and universities rejecting Intelligent Design and embracing Theistic Evolution (46:25) The marketing dimension to science and culture (51:45); The difficult situation of deciding where to send our kids to school (56:55); Developing educational curriculum and technologies (1:02:00); Persecution Dembski has faced for taking stands for truth (1:05:00); The controversy surrounding vaccines and how Dembski raising a child with severe autism has shaped his perspective (1:07:40) How our Christian heritage helps us to handle suffering (1:16:40); The danger of hypocrisy in the Christian community (1:18:40) The possibility that Dembski will come out of retirement and work in the Intelligent Design community again someday (1:20:40).